Every October since 2009, Toys R Us sold exclusive LEGO sets, issued throughout the month. This year, in some parts of Asia where Toys R Us (TRU) stores are still open, the “Bricktober” offerings remain available, but due to TRU closing in the US, American LEGO collectors have been left wondering where these may show up instead. 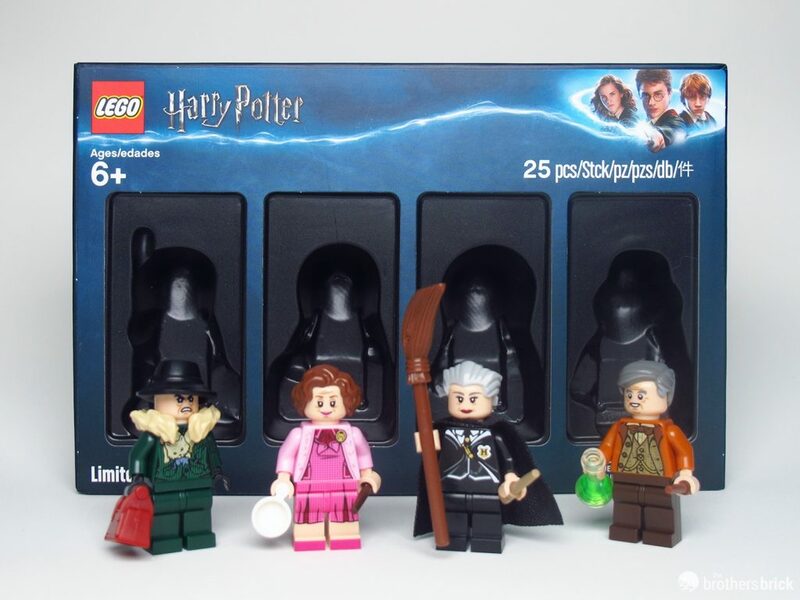 This particular set of four Harry Potter minifigures are available to our Stateside readers at Barnes and Noble. 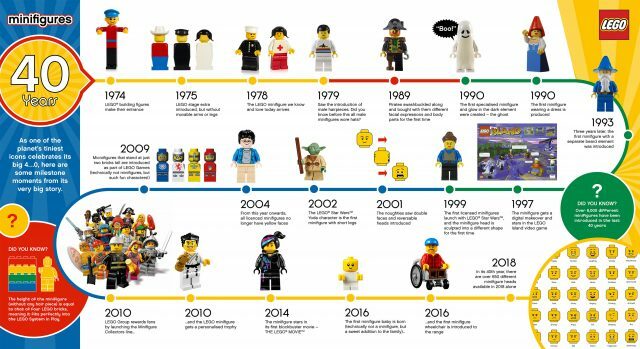 Did you know that 2018 marks the 40th anniversary of the modern minifigure? In recognition of this very special birthday, the LEGO Group released its party-themed Series 18 minifigures a few months ago, including a remake of the 1978 policeman. 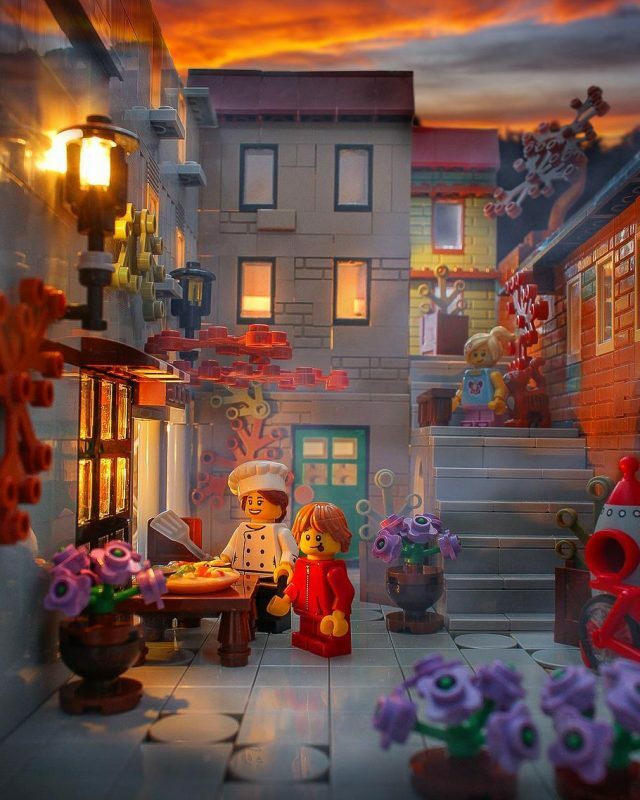 The LEGO Group continues to celebrate, this time by reaching into their archives to share some historic images with our readers. 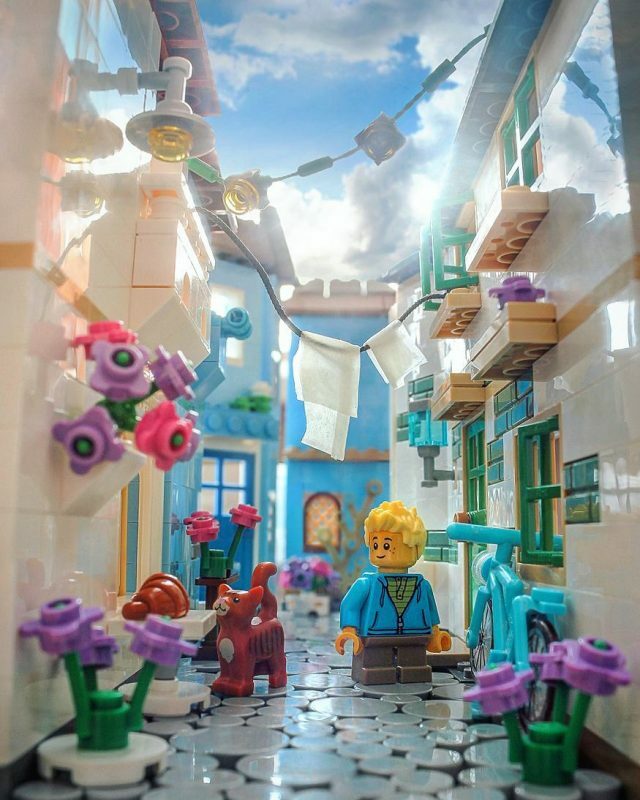 Here at The Brothers Brick, we love minifigures and are excited to share the images and history behind the LEGO Group’s versatile and lovable characters. 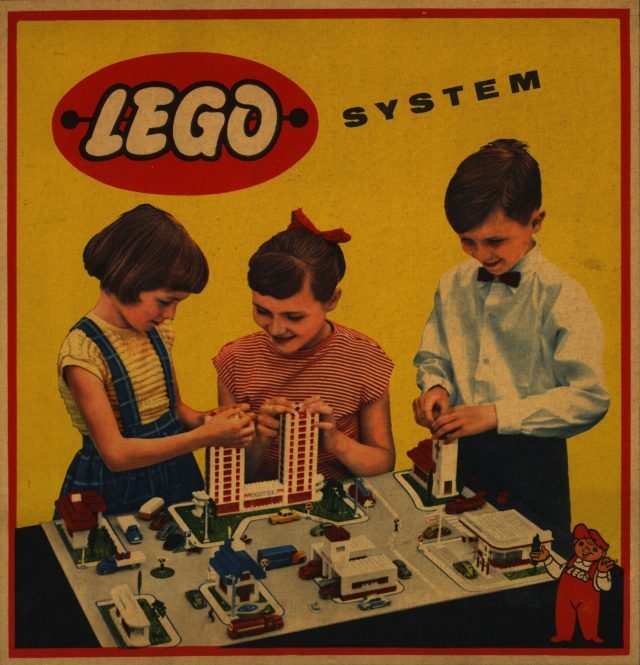 In the post-World War II economy, the LEGO Group began shifting its priorities in toy manufacturing. 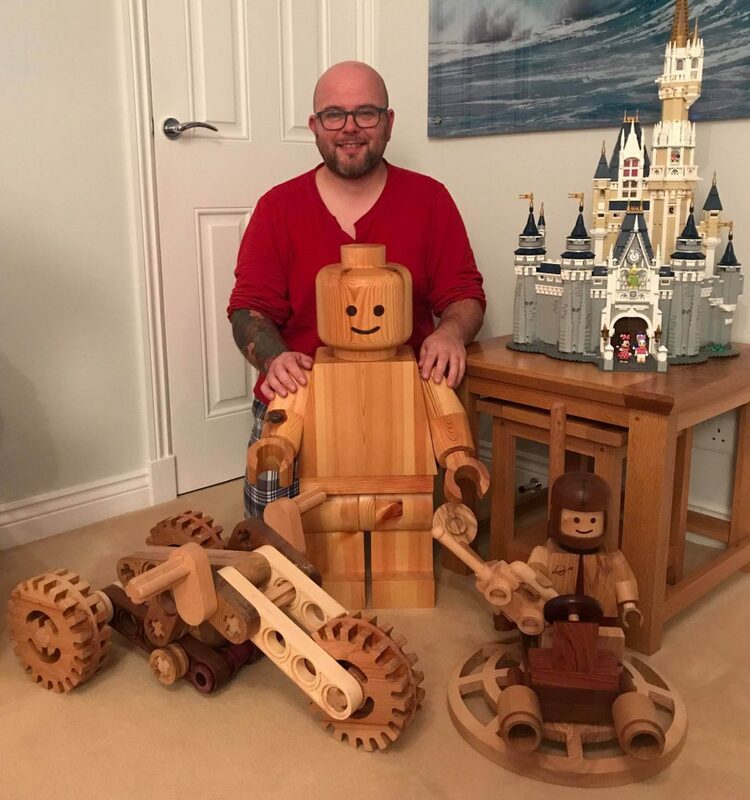 While the foundation of LEGO rested on wooden toys, Ole Kirk Christiansen saw a future in plastics and purchased the company’s first plastic injection molding machine in 1947. It was with this equipment that the LEGO group first began producing its Automatic Binding Bricks in 1949. 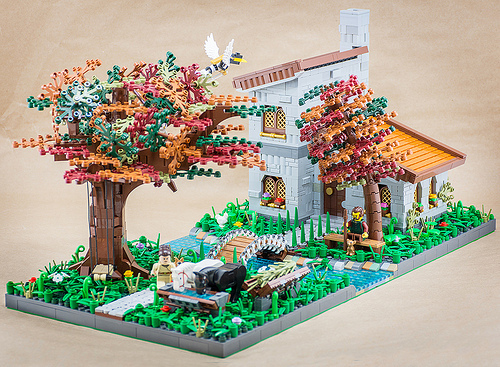 These hollow-bottomed bricks were the forerunner of the modern LEGO brick. 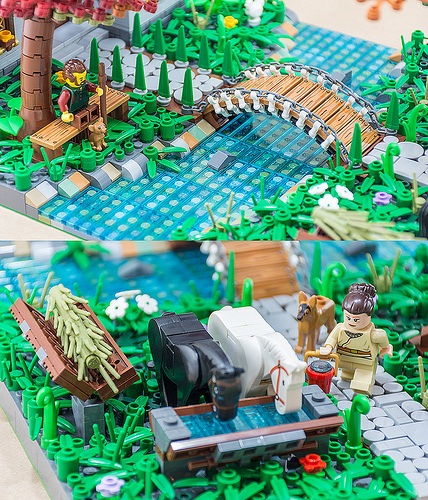 LEGO’s earliest sets were fairly basic construction toys, and characters were never packaged with the sets. This changed after Ole’s son, Godtfred, introduced the System of Play series in 1955. 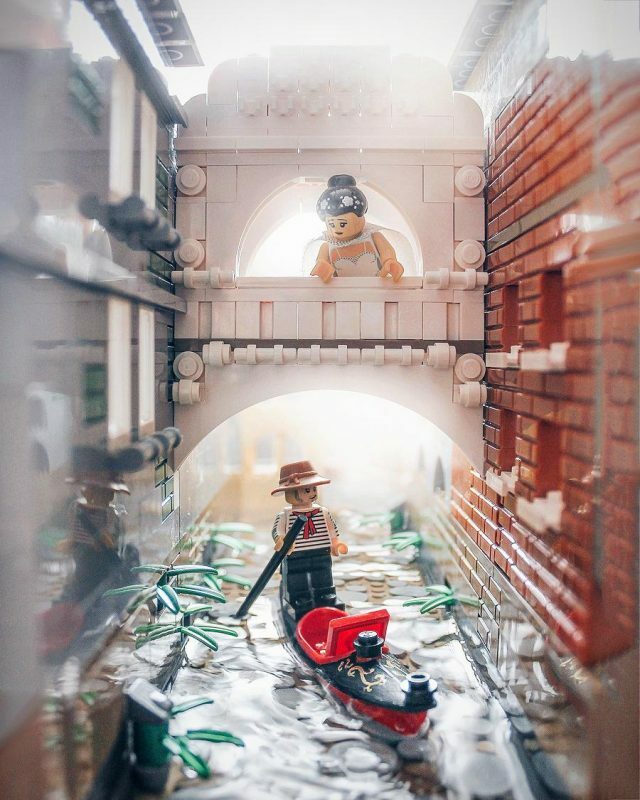 “System of Play” referred to the versatility of LEGO bricks to be used by themselves and with a child’s existing toys. 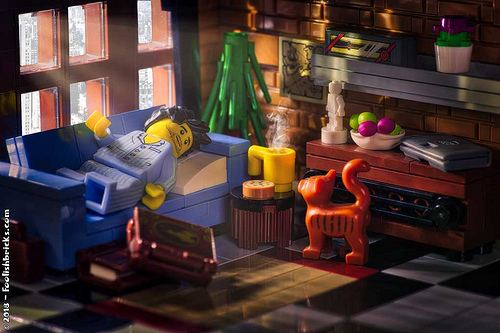 LEGO advertised the toy as the perfect companion for dolls and HO (1:87) scale toy trains. LEGO created the Town Plan series, which is populated by brick-built buildings and prefabricated vehicles, to serve in part as an add-on for model railroading. It was also during this time that LEGO introduced the great-great grandfather of the minifigure, a set of four tiny police officers. The figures were posed in four different positions, designed so they could direct traffic throughout the intersections of the Town Plan. 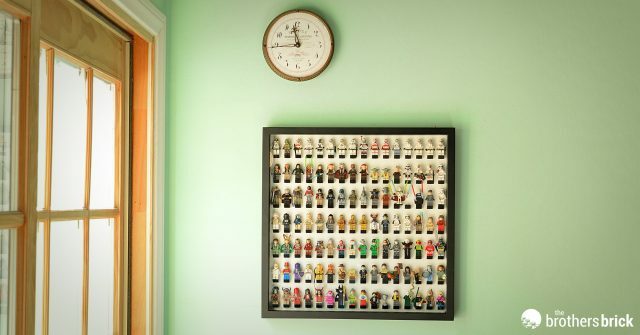 Resembling HO-scale figures, they did not have moving limbs or recessed indentations for connecting to studs but were nevertheless LEGO’s first people manufactured for the System of Play. While I am a big fan of the official architecture line from LEGO, including the recently reviewed Statue of Liberty set, I have so much respect for anyone who attempts to create custom models of landmarks on an even smaller footprint. 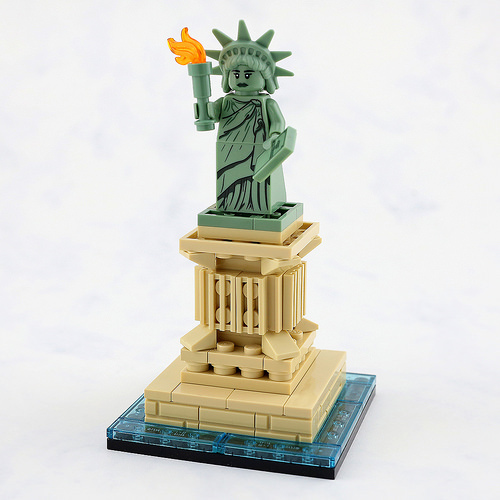 We’ve seen a few models over the years built to accommodate the mini-fig Statue of Liberty from Series 6 of LEGO’s Collectible Minifigures theme, but this latest by LEGO 7 has to be my favorite. There is a great balance between Lady Liberty and her signature pedestal, and the trans-blue tile border gives just enough of a sense of place (even if the shape of the base is not exactly accurate to Liberty Island). The classics are always a favourite of mine and they never go out of style. 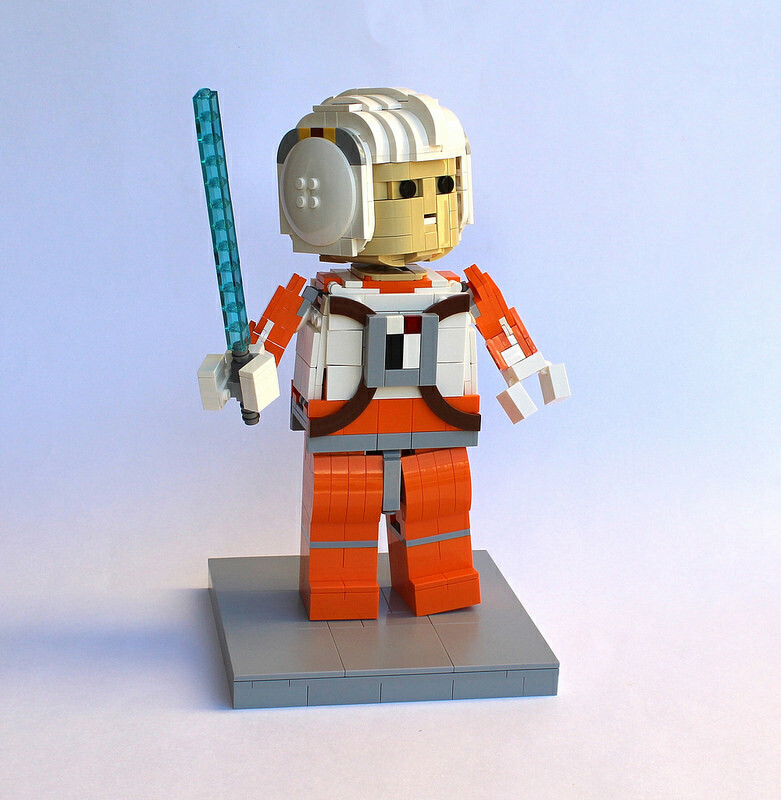 Star Wars fan Miro Dudas takes a pick of some of the famous characters from various scenes of the original trilogy to build medium scaled versions of their minifigure constructs. We’ve got the whole family together, and then some, from Lord Vader, to the twins Luke and Leia, and the dynamic duo Han and Chewie. My favourite of the lot is controversial scene of Han Solo and Greedo showdown, what’s yours? Click here to see the rest of the characters! Building vehicles in minifigure scale is not always an easy task. 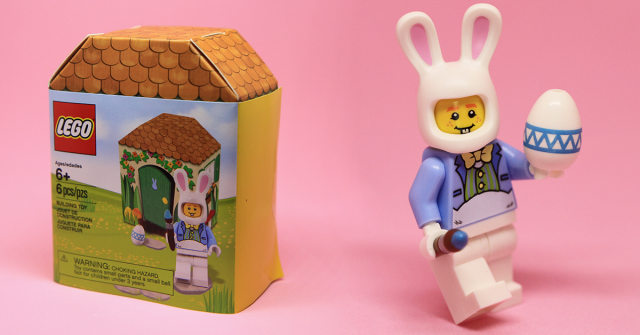 Minifigures themselves are an odd shape – short and wide. In the LEGO world, adaptations have to be made, especially when it comes to vehicles that need minifigures to side side-by-side. 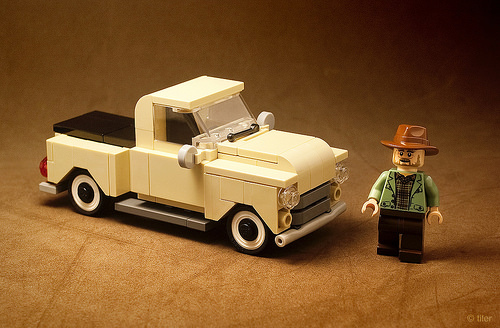 This truck by Calin solves the problem by giving the impression of the correct height but only fitting one minifigure in the front seat. Frank seems content to drive his old tan truck on his own, he prefers it that way. Calin says he was inspired in some ways by de-marco’s collection of vehicles. We highlighted a few, and their instructions if you take a peek on our free instructions for custom models area, just select de-marco under the builder tab.